To design and build a spacecraft, you need to be able to figure out how big to make it, how heavy it can be, how fast it will have to go, how much fuel it needs and so forth. For that, you need a theory of how objects move in space and how to make the calculations. Almost all theory of space flight was worked out by three brilliant men over a period of nearly three centuries - from 1600 to 1900.
was the German mathematician who, in 1609, figured out the equations for orbiting planets & satellites - that they move in ellipses (flattened circles). 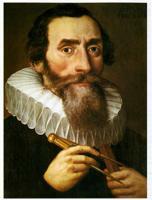 He gave three fundamental laws of planetary motion. 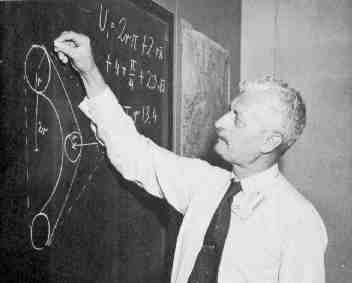 His equations are used today for calculating orbits for satellites and planets. He also did important work in optics and geometry. English scientist and mathematician. 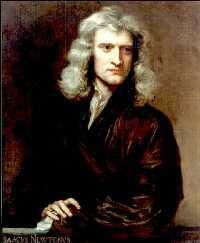 in 1687 he wrote what is probably the single greatest intellectual achievement of all time, establishing the basic laws of force, motion, and gravitation and inventing a new branch of mathematics in the process (calculus). He did all this to show how the force of gravity is the reason that planet’s orbits follow Kepler’s equations. a Russian school teacher with a scruffy beard who, without ever launching a single rocket himself, figured out all the basic equations for rocketry in 1903. From his very broad and extensive reading, including Jules Verne’s “From the Earth to the Moon”, he concluded that space travel was a possibility, that it was in fact man’s destiny, and that rockets would be the way to pull it off. He anticipated and solved many of the problems that were going to come up for rocket powered flight and drew up several rocket designs. He determined that liquid fuel rockets would be needed to get to space, and that the rockets would need to be built in stages (he called them "rocket trains"). He concluded that oxygen and hydrogen would be the most powerful fuels to use. He had predicted how, 65 years later, the Saturn V rocket would operate for the first landing of men on the moon. An American who is now called "the father of modern rocketry"
By contrast to Tsiolkovsky, Goddard was the man who designed, built, and flew the rockets. He was a professor at Clarke University who also developed the theory of rocketry and although he didn't know about Tsiolkovsky's work, reached the same conclusions as Tsiolkovsky did. Goddard proved the theory was true. He was also heavily influenced by the science fiction of Jules Verne, and he worked hard to develop rockets because he wanted to see them take us into space. When he first published his superbly written study, proposing that rockets could possibly be used to travel to the moon, people thought he was a nut. In fact, the criticism was so harsh, Goddard maintained a low profile and said little about his work after that. In 1926 he launched the world’s first liquid fueled rocket. 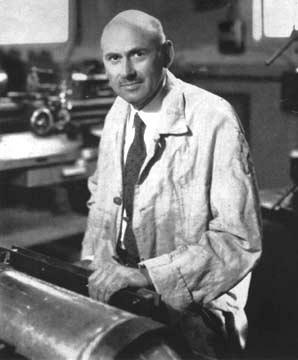 In the course of his experiments in Massachusetts and Roswell, New Mexico, he virtually developed the entirety of rocket technology. He invented everything required for modern rocketry and earned over 200 patents. By himself he developed the same components and designs that took the Germans hundreds of scientists and engineers and millions of dollars to develop independently at Peenemunde during World War II. Yet another one who, after reading Jules Verne’s "From Earth to the Moon" as a young boy (age 11 in this case), became determined to find a way to travel space. 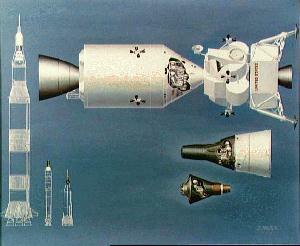 He independently determined the same rocketry principles as Tsiolkovsky and Goddard. The difference with Oberth, a German rocket scientist, is that in 1929 he published "The Rocket Into Interplanetary Space", a highly influential book which was internationally acclaimed and persuaded the world that the rocket was something to take seriously as a space vehicle. Oberth was also Wernher Von Braun’s teacher, bringing him into the German rocket program. Of the three great rocketry pioneers, Oberth was the only one who lived to see men travel through space and land on the moon. Together with Oberth and an enormous team of scientists and engineers at Peenemunde, he developed and launched the German V2 rocket, the first rocket capable of reaching space. At the end of World War II, Von Braun led the top scientists and engineers out of Germany to the Americans (he didn't want to be captured by the Russians). He led the US development of military and space exploration rockets. 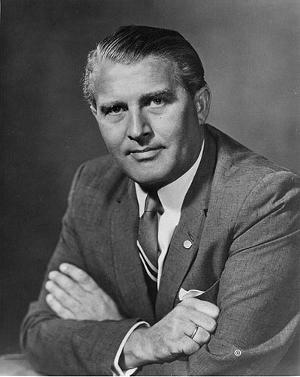 Von Braun was crucial in the effort to convince the US government to pursue a landing of men on the moon, and guided US efforts to success. 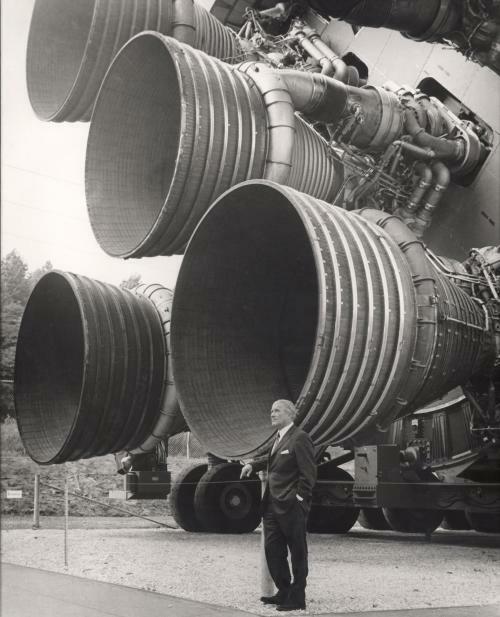 He led the development of the Saturn rockets, the only series of rockets ever developed to have worked perfectly on every launch (that is, never blew up on the pad). If he hadn’t been so successful, we may never have made it to the moon. 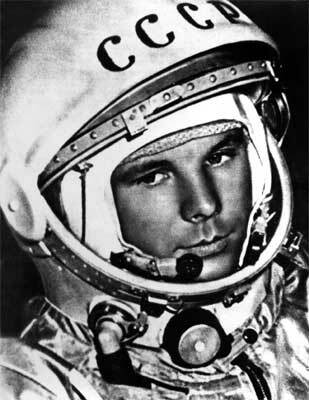 On April 12, 1961, Russian Cosmonaut Yuri Gagarin became the first human to travel into space in Vostok 3KA-2 (Vostok 1). After the flight, Gagarin became an instant, worldwide celebrity, touring widely to promote the Soviet achievement. He proved quite adept at handling the publicity. Like John Glenn, Gagarin was considered too valuable to his country to risk in an another space flight, and was grounded from future space missions. Gagarin eventually became deputy training director of Star City, the Russian equivalent of Cape Kennedy and Johnson Space Center combined. At the same time, he began to requalify as a fighter pilot. On March 27, 1968 he and his instructor died in a MiG-15 UTI on a routine training flight near Kirzhach. Shepard was one of the Mercury astronauts named by NASA in April 1959 to Project Mercury, and he holds the distinction of being the first American to journey into space, as well as the only Mercury astronaut to walk on the Moon. On May 5, 1961, in the Freedom 7 spacecraft, he was launched by a Redstone rocket on a ballistic trajectory suborbital flight—a flight which carried him to an altitude of 116 statute miles and to a landing point 302 statute miles down the Atlantic Missile Range. He was originally assigned to command Apollo 13, but as it was felt he needed more time to train, he and his crewmates (lunar module pilot Edgar Mitchell and command module pilot Stuart Roosa) swapped missions with the then crew of Apollo 14 (James Lovell, Ken Mattingly - who was himself replaced by Jack Swigert shortly before the mission - and Fred Haise). 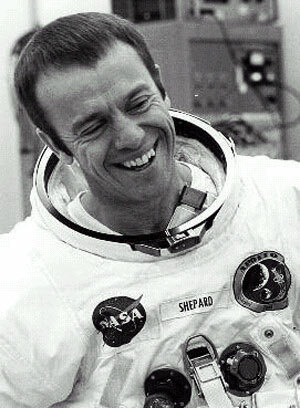 At age 47, and the oldest astronaut in the program, Shepard made his second space flight as commander of Apollo 14, January 31–February 9, 1971, man's third successful lunar landing mission. Shepard is also remembered for being the only person to play golf on the Moon with a Spalding six-iron head attached to a lunar sample scoop handle. His first shot, which he duffed, only went a hundred feet, but his second shot, which he hit squarely (with only one arm, as the bulkiness of his 21-layer spacesuit prevented him from using both arms), sent the ball as he said "miles and miles." Flew as a fighter pilot for the Marines in World War II. 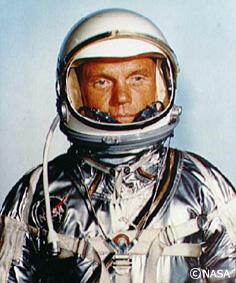 In 1959 Glenn was assigned to the National Aeronautics and Space Administration (NASA) as one of the original group of Mercury astronauts for the Project Mercury. During this time, he remained an officer in the Marine Corps. He piloted the first American manned orbital mission aboard Friendship 7 on February 20, 1962. After completing three orbits, the "Mercury Atlas 6" mission, lasting 4 hours, 55 minutes, and 23 seconds, Glenn was celebrated as a national hero, and received a ticker-tape parade. Glenn lifted off for a second space flight on October 29, 1998, on Space Shuttle Discovery's STS-95 in order to study the effects of space flight on the elderly. At age 77, Glenn became the oldest person ever to go into space. Flew as a fighter pilot for the Navy in the Korean War. Flew X-1 and X-15 rocket planes for NASA as a test pilot. Flew the Gemini 8 program, testing out the concept of rendezvous and docking in orbit (the first time this was ever accomplished). The success of this mission was critical for NASA’s lunar landing plan. Flew as commander of the Apollo 11 mission, and became the first man to walk on the moon. Also flew as a fighter pilot for the Navy in the Korean War. He utilized revolutionary techniques during training for space walking during the Gemini 12 mission, including neutrally-buoyant underwater training. Such techniques are still used today. 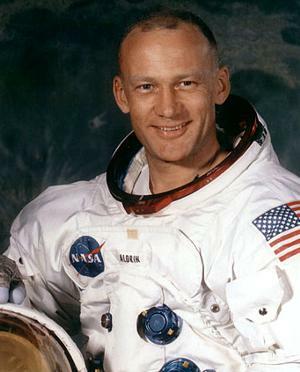 Aldrin set a record for extra-vehicular activity and proved that astronauts could work outside the spacecraft. It was because of this that he has been credited with 'Saving the space program'. 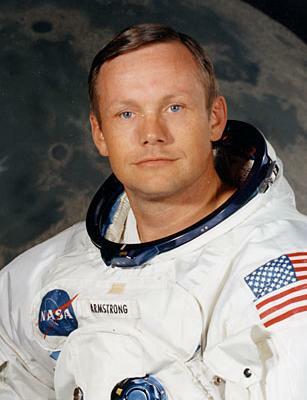 Flew as the lunar module pilot for Apollo 11 and accompanied Neil Armstrong to the surface of the moon. Became the second man to walk on the moon.